How many times have you gone into a store, seen a men's shirt, and thought, "I wish they made that for women." More times than you can count? Me too. When it comes to classic women's shirting, there's definitely a void. With the exception of a handful of sources (previous post included), a well-crafted, well-tailored, unfussy button-down shirt for women isn't exactly plentiful in the market. Enter Tradlands, a San Francisco-based women's shirtmaker launched last month by Sadie Beaudet and her fiancé, Jeremy Roberts. After years of bringing men's shirts into a dressing room with fingers crossed that just maybe it would fit right, Beaudet resigned herself to self-tailoring or would just sacrifice fit and don an oversized boxy shirt. Lucky for us, she decided to take matters into her own hands with a collection of shirts that marries menswear styling with women's tailoring. 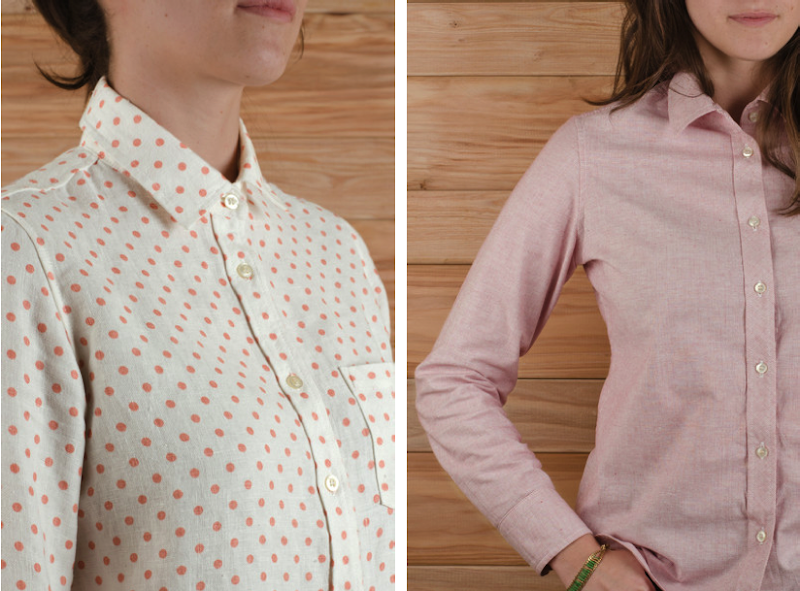 Tradlands shirts are made in small batches in America from American materials like raw denim and washed linen. 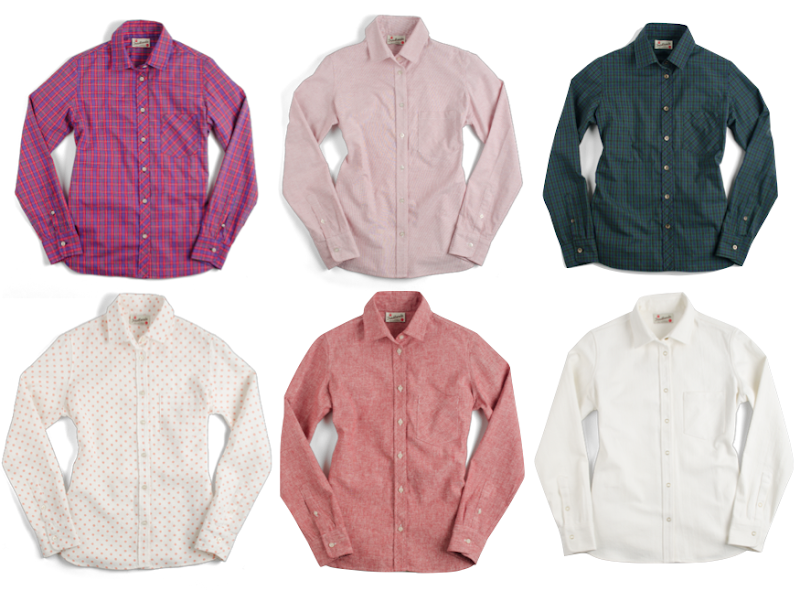 These shirts are built to last—in fact, Sadie tells me they're guaranteed to last. Prices for button-downs range from $127-$187 and Tradlands is generously offering Tomboy Style readers a discount: Enter the code tomboystyle15 for 15% off your order total! P.S. Thanks to Christine of N'East Style for tweeting about Tradlands a few days ago. Awesome. It's always so exciting when someone finds a gap in the market like that, something we all desperately want but have trouble finding, and fills it so beautifully. You'd think we'd be saturated at this point with everything under the sun, but it just goes to show you. Bookmarking their site right now. Nice shirts!! I totally agree that there are way too many men's items I love but can't wear b/c the sizing would be all wrong. I love these fabrics, but are they longer? I always find that women's shirting is cut too short- though it doesn't help I have a long torso. Like I just sold all my Steven Alan shirts because I finally admitted to myself they are too short :( When is someone going to come out with t-shirts and shirting that is long but still lean? What RCM said! The number one problem I have with women's tailoring is that it is too short--and this is the reason I started waring men's shirts in the first place. I can deal with droopy shoulders far better than I can deal with not even being able to tuck my shirttail in. 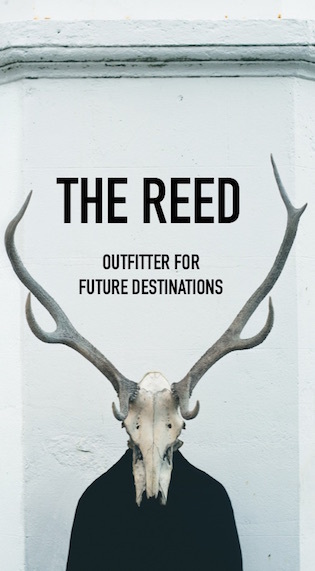 A big thanks to Lizzie for featuring us in this great write-up. Thanks for all the feedback too! We definitely tried to respond to a complaint we kept hearing with a solution. And we are grateful the reception to our line has been so good. To RCM, yes! Our shirts do run a little longer. I have talked to women who have the same length problem with Steven Alan shirts as well as Gitman Sisters. Our model is quite tall and you can see where the shirts fall on her. We designed the shirts to include a more length than others because I know I've run into the annoying "untucking" problem too many times in the past. Plus we placed the very bottom button a little lower to avoid the opening that happens with pieces with not enough buttons down the front. Also, if you get a shirt and are unhappy with the length, we can always return it for you at no cost. If you have any additional questions, just let us know We will check back regularly and are happy to answer them. You struck a chord with this post, Lizzie! I have always loved Frank & Eileen shirts, but have never been able to wear their women's cut because a L is an 8-10. Well, not me. So, I always had to resort to the men's, which were NOT cut for hips, so it meant that I tucked or left the bottom buttons undone. UGH. Love these! Finally, a happy medium! Also love that they're made in the USA. Props to Tradlands! Hi, I am always looking for just that a man's shirt in a womans size! In fact i just bought a mans chambray shirt at the weekend, but the cuts just not quite right for me! So thanks i will def give them a go! Love love love these - I've also been a fan of men's button-up shirts and sweaters, and the fact that these are fitted for, you know, a woman makes all the difference in the world. My usual trick is a boy's button-up, and in my current rotation I have a starch-white boy's classic from Wal-Mart which was $10. A cheaper option that fits wonderfully, but I have no doubt that it's nowhere near as lovely as the Tradlands tops.